Dr. Blount joined The Carter Center as Director of Special Health Projects in 2013. In this role, Dr. Blount oversees the Center’s work to intensify binational coordination between the Dominican Republic and Haiti to eliminate malaria and lymphatic filariasis on the island of Hispaniola. He is also leading the Center’s effort to expand public health training in low resource countries. Before joining The Carter Center, Dr. Blount spent 25 years at the U.S. Centers for Disease Control and Prevention (CDC) in a succession of leadership positions, the last of which was as Associate Director for Global Health Development. Prior to that, he directed CDC’s Office of Global Health from 1997 to 2005 and the Coordinating Office of Global Health from 2005-2010. In these roles, Dr. Blount provided programmatic and financial oversight for the Global AIDS Program, global immunization and disease eradication activities, as well as malaria, tuberculosis, and tobacco control efforts. He oversaw a $1.8 billion budget, 200 U.S. government staff in 50 countries, and 1,500 locally hired staff and contractors. 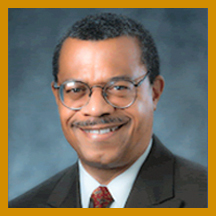 Dr. Blount was the CDC’s lead strategist for global activities and managed key partnerships with ministries of health, United Nations’ organizations, the World Bank, other U.S. government organizations, and non-governmental organizations. From 1993 to 1997, he was assigned to the Caribbean Epidemiology Centre of the Pan-American Health Organization/WHO in Trinidad, where he served as Director. Dr. Blount’s major accomplishments at CDC included working with the Polio-Plus Initiative to reduce the number of polio-endemic countries from 41 in 1997 to four in 2010. He also served on the leadership team of the Global Measles Partnership, an effort that reduced measles mortality worldwide by 39 percent between 1999 and 2010. Dr. Blount earned his Bachelor of Science in psychology in 1975 and his medical degree from Tufts University in 1978. He also holds a Master of Public Health degree from the University of Michigan, where he completed his residency in Preventive Medicine in 1981. Among many awards and honors, Dr. Blount was named Manager of the Year by the Pan-American Health Organization/WHO in 1997 and recognized with the Presidential Meritorious Rank Award for Outstanding Service by the United States government in 2007.